According to an article on eMarketer, "What stands out in the Japanese mobile market is the fact that innovation is shifting toward business models and marketing tactics as opposed to technical features and functions ... the explosion of non-official mobile content Web sites is causing the sun to set on the i-mode business model of a dominant mobile carrier selling incremental content and services to its user base," says John du Pre Gauntt, eMarketer senior analyst. If you stop somebody at the streets of Tokyo who is watching digital broadcasting TV on his mobile handset and ask who is his carrier provider, chances are high the answer will be KDDI au. 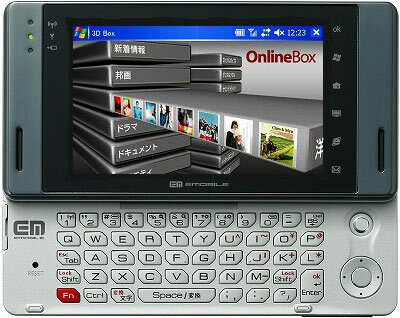 Having started selling its first one-seg model -- the Sanyo W33SA (discontinued) -- in December 2005, KDDI au expanded its one-seg portfolio to 12 models, resulting in two million units sold as of February 23, 2007. According to GfK Japan, (as quoted in this KDDI press release -- Eds) au group has sold more one-seg compatible handsets than its rivals, grabbing 59.96% of the total market share. WWJ has video demo. with one of KDDI's early 1Seg. enabled models running Here. eMobile announced their debut package offering - complete with terminals, data cards and flat-rate HSDPA price plan - today at a Tokyo press conference with company representatives joined by notable industry partners including Paul Jacobs, CEO of Qualcomm, Darren Huston, CEO of Microsoft Japan, and Masafumi Matsumoto, representative director from Sharp. The upstart carrier's founder, chairman and CEO, Sachio Semmoto (who was co-founder of DDI, which became KDDI), called their newly introduced Sharp EM-One smartphone, "the next-generation mobile broadband device" - which was "designed to deliver always-on broadband at a reasonable monthly flat-rate price." SoftBank Mobile rounded out the Japanese operators spring handset announcement rush this week by announcing a new fleet of models - Flash site Here - with major bling factor. According to the companies announcement most models will be available by March which is traditionally the busiest handset replacement month of the year in Japan as the new academic and fiscal year begins on April 1st. 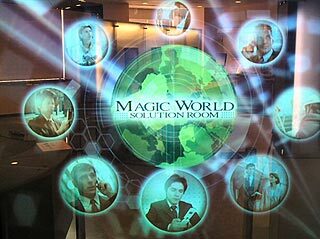 Masayoshi Son did his best Steve Jobs impersonation, black turtle-neck and all, however there was no announcement related to the recent news from MacWorld. According to a company press-release today SoftBank mobile will release the first handsets branded with it's corporate logo (replacing Vodafones) starting Sept. 2nd. The Sharp 705 series [.jpg image] 3G phones will be limited to 10,000 units and feature the usual specs. with 2 mega-pix. camera, ASV display and bluetooth on-board. They have also released images of the popular 1Seg digital TV enabled 905 model [.jpg image], made by Sharp as well, with the SoftBank logo however no details were provided about it's availabilty. The good folks over at CIAJ (Communications and Information Network of Japan) issued a press item last week to announce results of their annual study on cellular phone use. According to CIAJ, "The study aims to capture on-going changes in the domestic mobile communications market and has been conducted since 1998." Motorola and RIM Rolling in – SoftBank a No-Show? Last week saw an interesting double play for mobile devices in Japan as both NTT DoCoMo and Willcom announced new phones -- DoCoMo's 7-Series -- or new PDAs -- Sharp's oddly named W-Zero3[es]. 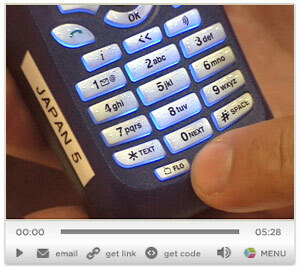 These, combined with the continuing speculation on the this fall's entry of RIM's Blackberry email device (will it have Japanese text input capability? ), made it a busy week for wireless watchers. Willcom, Microsoft and Sharp have introduced their next generation smartphone. The Zero3 [es] is powered by Intel's PXA270 CPU at 416MHz, with 128MB of flash memory and 64MB of SDRAM. In addition to the Windows Mobile 5.0 (Japanese) operating system, the phone also comes with the Opera mobile browser and Flash pre-installed. 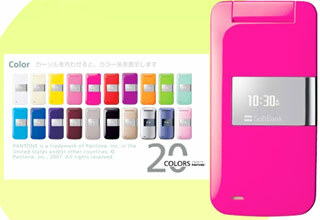 It has a 1.3-megapixel camera, miniSD removable memory, a USB 2.0 port and QR code reader. According to the press release, they are working on seperate W-Fi, Bluetooth and 1Seg TV tuner cards to be released at a later date.